Social media was supposed to enrich our lives and bring us closer, but in recent years, it’s grown toxic and divisive. Now, we're doing something to try to change that. On February 26th, we're launching #BeLikeableDay, a global movement dedicated to making social media a more positive environment. On this day, we're asking everyone to commit at least one act of kindness on social media using #BeLikeableDay. In an age when cyberbullying, fake news, and negative headlines dominate, this is our chance, through individual acts of kindness, to collectively change the world. Sign the pledge at BeLikeableDay.com. Instagram Stories hit a new milestone of 500 million daily users. However, Facebook's most recent earnings call and the new products it plans to push this year make it clear that the platform is self-conscious about how its user base is shifting away from its classic social network. Facebook is now letting users unsend direct messages. As part of a new privacy push from the social network, the unsend feature allows users to erase DMs on Facebook Messenger up to 10 minutes after sending. Snapchat has stopped hemorrhaging users. In its Q4 earnings report, the company stayed flat at 186 million daily users after taking a dip over the last year, and users still average 30 minutes per day on the app. 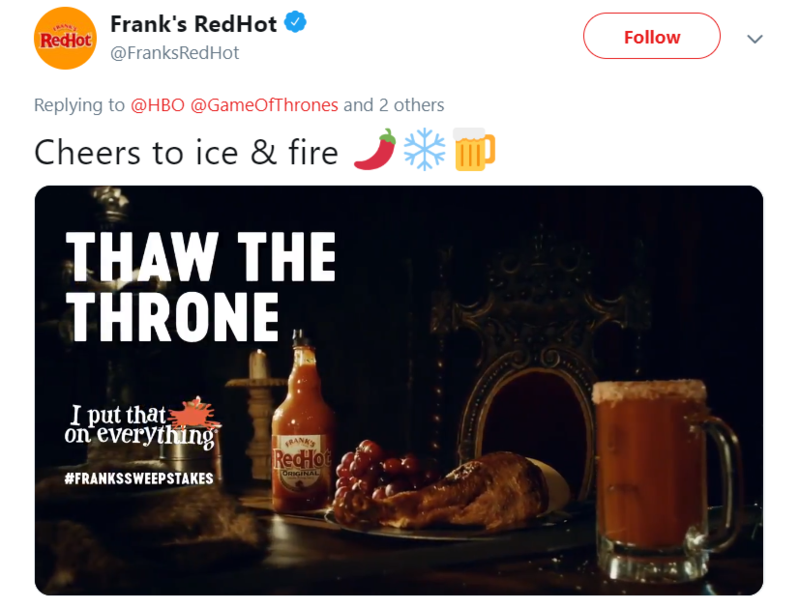 The McCormick & Company-owned hot sauce brand Frank's RedHot may not have aired a Super Bowl ad, but that didn't stop it from dominating social media during the game. The brand earned 3.5 million impressions thanks to its #FranksSweepstakes stunt, which included a Twitter contest and real-time engagement with other brands' TV spots. In the third edition of his New York Times bestseller, Likeable's chairman Dave Kerpen shares the latest tools and tactics for building your brand and engaging customers on social media. On the latest episode of All the Social Ladies, Penny Wise, Marketing Director, Industrial Business Group at 3M, gives us the inside scoop on the brand's "Wonder" campaign.